HOORAY for the Winner of the Eden BODYWorks Blogging While Brown Scholarship! When the wonderful folks of Eden BODYWorks came to me with the idea of the Blogging While Brown scholarship giveaway, I thought it was an absolutely AMAZING idea, one I’d love to collaborate on every year! And I also said to them, please don’t ask me to judge this because WAY too many of my personal friends in the blogosphere will enter and I can’t choose. The folks at Eden agreed to choose, and I’m really proud to announce the winner. Erika of A Black Girl’s Guide to Weight Loss will be joining me at Blogging While Brown in Philadelphia!! After reviewing an impressive list of entries, EDEN BodyWorks chose Erika Nicole Kendall of A Black Girl’s Guide to Weight Loss for the @Afrobella + @BWBConference scholarship giveaway! In addition to its demonstrated commitment to fresh, high quality content, A Black Girl’s Guide to Weight Loss shares EDEN BodyWorks’ mission of celebrating beauty from the inside out through healthy lifestyle choices. From the entire EDEN BodyWorks team, we look forward to witnessing the impact of your experience at Blogging While Brown as a result of the scholarship. Congratulations, Erika! Can’t wait to see you in Philly! 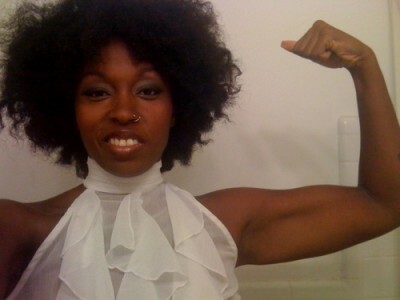 Click here to check out Erika’s amazing blog, A Black Girl’s Guide to Weight Loss. And click here to follow her on Facebook and Twitter. Blogging While Brown is this upcoming weekend and the event schedule is OFF THE CHAIN! Click here to check out their schedule, their Facebook and their Twitter. And last but not least, thank ALL of you amazing bloggers for entering and thank you, Eden BODYWorks for sponsoring this amazing scholarship! Click here to visit Eden’s official site, and click here for their Facebook and Twitter. Congrats Erika! You are in great Blogging company with Afrobella and thank you Eden for helping deserving bloggers to experience ways to get better at their craft.